Which city is best to live in Australia? Australia is officially the Commonwealth of Australia, is a country in the Southern Hemisphere comprising the mainland of the Australian continent, the island of Tasmania, and numerous smaller islands in the Indian and Pacific Oceans. It is the world's sixth-largest country by total area and today one of the most popular places to live for foreign expats. 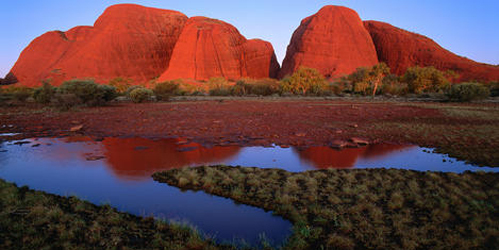 Australia has six states—New South Wales, Queensland, South Australia, Tasmania, Victoria, and Western Australia—and two major mainland territories called the Northern Territory and the Australian Capital Territory. Although most of Australia is semi-arid or desert, it includes a diverse range of habitats from alpine heaths to tropical rainforests, and is recognised as one of the most diverse country's in the world today. In relation to cities in Australia, many of them fare well in global liveability surveys; Melbourne winning first place on The Economist's 2011 World's Most Liveable Cities list, followed by Sydney, Perth, and Adelaide in sixth, eighth, and ninth place respectively. Australia's largest export markets are Japan, China, the US, South Korea, and New Zealand. Australia is the world's fourth largest exporter of wine, in an industry contributing $5.5 billion per annum to the nation's economy. The wine regions in each of these states produce different wine varieties and styles that take advantage of local climates and soil types. We have thousands of local members waiting to answer your questions on living and working in Australia. Join Worky or Login to Join the Discussion.